Fashion winter warm women knitted headband, 100% brand new and good quality. ​Crafted from a soft stretch knitted fabric, this cap will fit most women&apos;s head sizes. 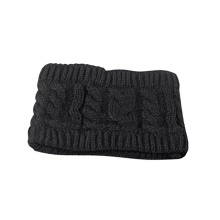 Soft and comfortable, it will keep your head and ears warm in the cold days. This knitted crochet headband will be your excellent hair accessory in the winter. Crafted from flexible and high elastic knitted fabric, soft and comfortable. Suitable for women and girls, easy to put on and take off. Greatly keep your head and ears warm in winter. Nice design and fashionable headband, a great accessory to keep you stylish. Good for travel, tourism, shopping, etc. It is a good gift for your lover, family and friends.